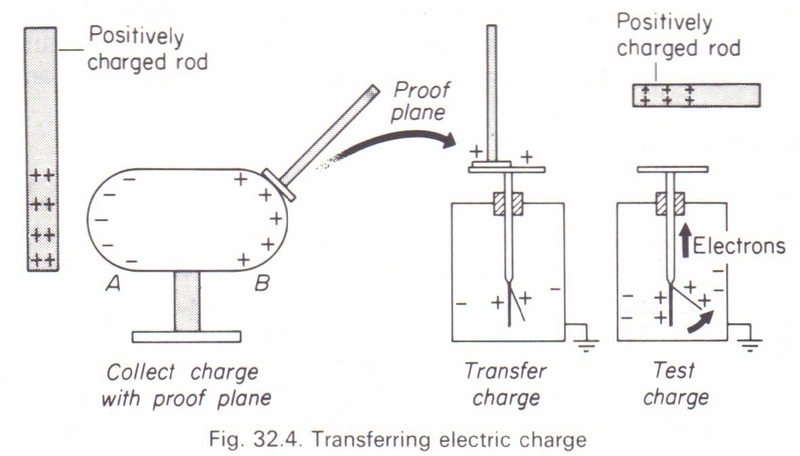 positively charged rod slowly down towards t he cap of the electroscope from a goodheight above it. 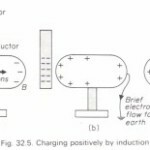 An increase in divergence of the leaf will show that the charge taken from B is positive. 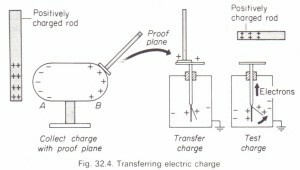 The electroscope and the proof plane are now both discharged by touching them with the finger and the experiment repeated using charge taken from the end A of the conductor. 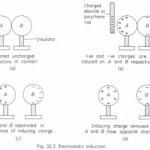 This time an increase in divergence is obtained when a negatively charged ebonite rod is brought near the cap, showing that the charge taken from A is negative. 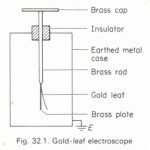 electroscope from a good height above it is explained on page 372.